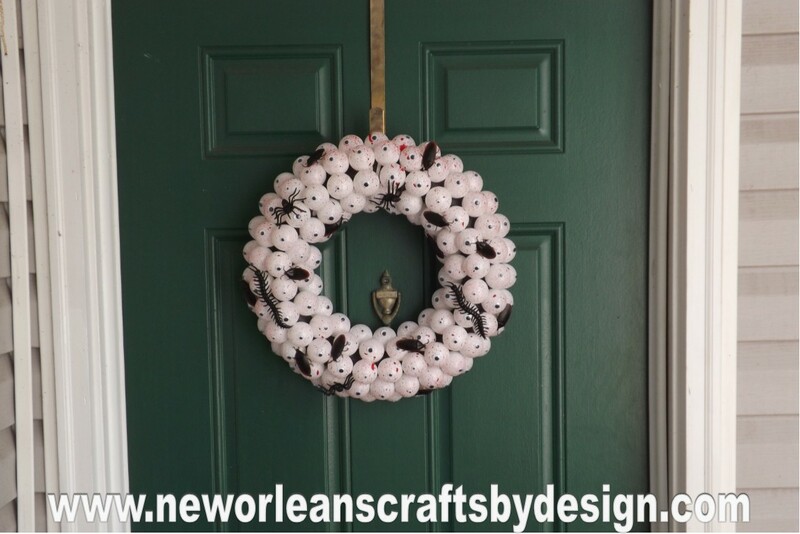 I was channeling my inner Dexter when I was making this wreath and it was actually quite fun!!! Messy....but fun. 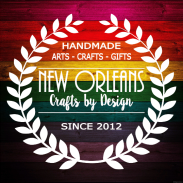 I started out with a standard 14" styrofoam wreath form that I painted black...just because I thought that it would look better and give a little contrast. 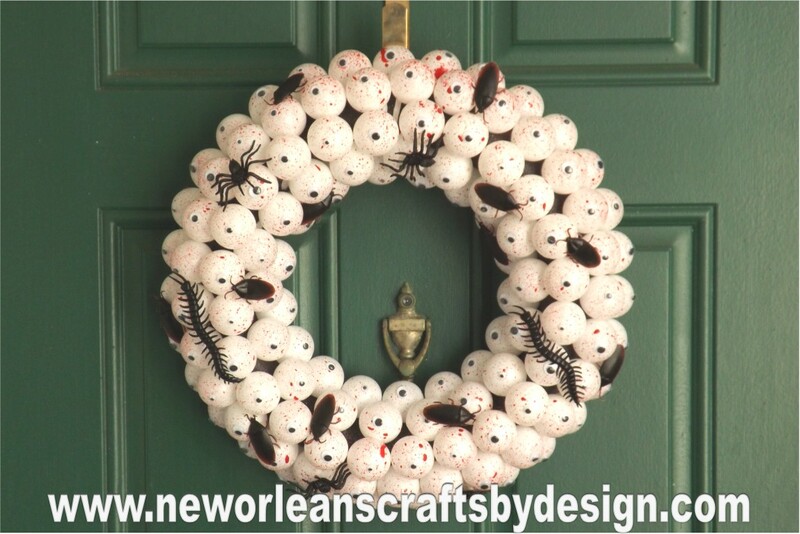 I then added about 140 white ping pong balls to the wreath. 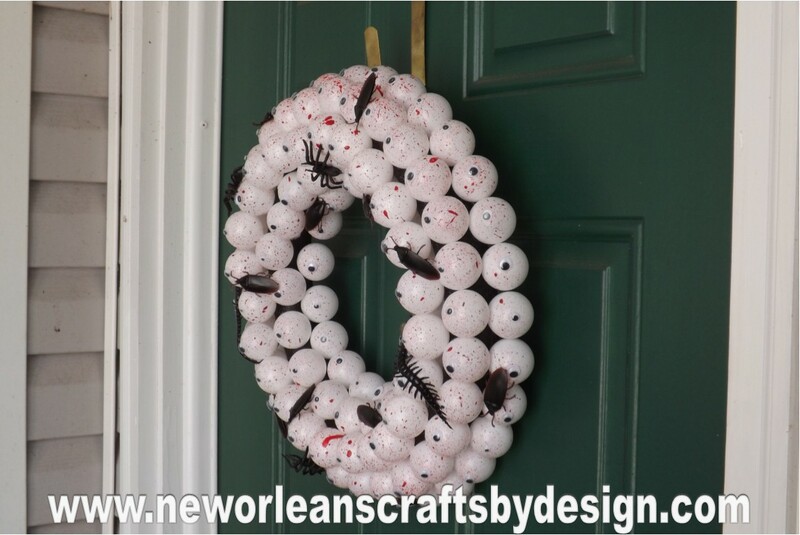 At first, my plan was to make just a standard white eyeball wreath but figured it would be creepier with a little blood splatter. So, I found my red acrylic paint and an old brush and started splattering it all over the place. I think it was just enough without going overboard with the blood look. 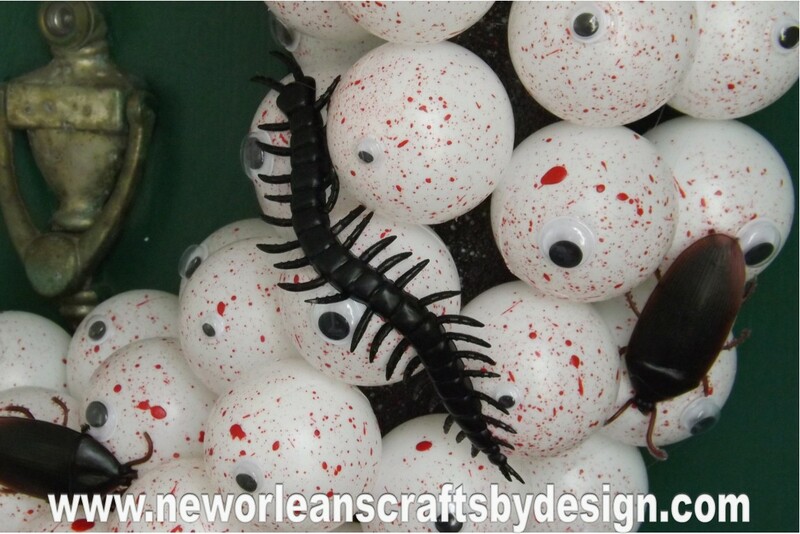 Next step was to add the googly eyes to each one of the ping pong balls. It wasn't difficult but time consuming and I did get a few burns from the hot glue. Well worth it. Once again, I was going to stop at that point but was thinking that it needed a little something...oh yeah, bugs and stuff! So off to the store I went and found bags of bugs. I attached cockroaches, centipedes, and spiders. I think it gives it a more disgustingly cute look. 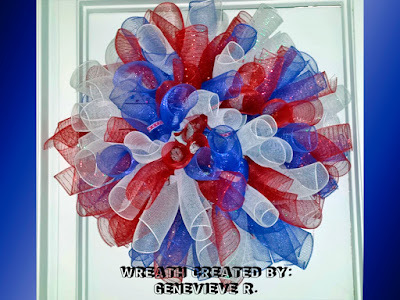 The finished wreath measures about 15" wide. 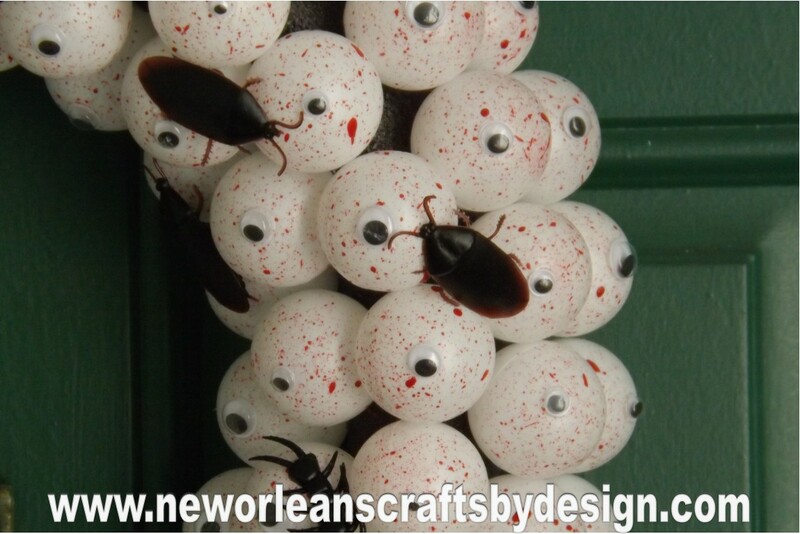 This will be the perfect addition to your creepy Halloween Decor.